Friday 12 May 2017: Neuroscience Research Australia (NeuRA) today announced a new research partnership with Transurban launching a dedicated world class research centre for road safety. The Transurban Road Safety Centre was officially opened by the Hon Brad Hazzard MP, NSW Minister for Health and Minister for Medical Research. The joint venture brings together Medical Research, Business and Government into a partnership aimed at working together to reduce injury suffered on our roads. “This vital medical research project will better shape road safety priorities and ultimately save more lives – not only on NSW roads but across the country,” Mr Hazzard said. 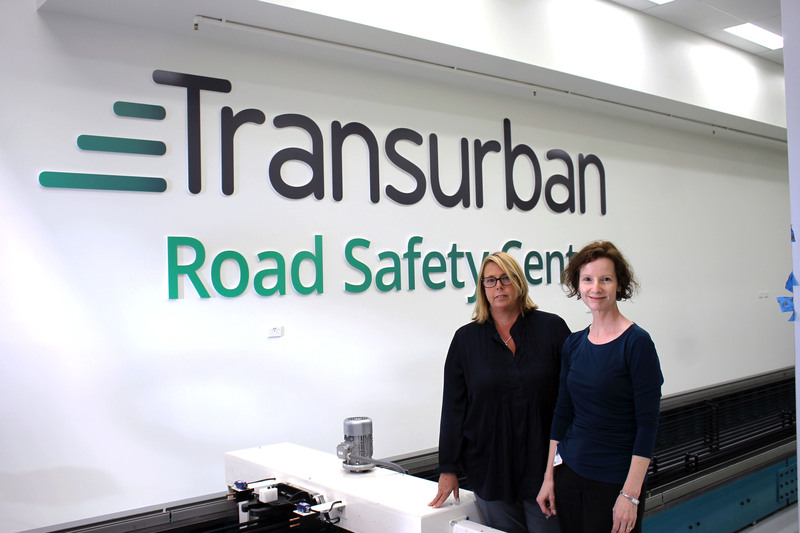 An ongoing commitment to road safety has led Transurban to form the three-year partnership with NeuRA to deliver this new centre and undertake a range of innovative research projects to improve road safety. Transurban operates six road assets in NSW and has a track record of partnering with governments to successfully deliver and manage key road infrastructure. They are recognised for developing innovative and effective transport solutions to meet the needs of growing cities. Housed at NeuRA in Randwick NSW, the centre combines world-class research with state-of-the art facilities and equipment. A newly installed sled will provide researchers the opportunity to study a number of growing trends on Australian roads. These will include; aged driver safety and their safety modification behaviour in cars, motorcycle design and motorcycle safety, and young adult safety systems in the back seat. Injury is still the leading cause of death and disability for Australians aged up to 45 years, with road trauma a substantial proportion of this problem. Estimates suggest that road trauma costs the Australian government $27 billion annually, however the human costs to families affected by road trauma is immeasurable. With Australia’s ageing population, there are now greater numbers of older people driving, and for longer than ever before. Drivers over the age of 70 currently account for over 14% of driver fatalities in Australia, but are only about 8% of all licence holders. The safety of motorcyclists is also of concern, as they currently represent 22% of serious casualties on Australian roads but only account for one per cent of the vehicle kilometres travelled. New research into these sectors will assist the industry to provide important safety education. NeuRA Executive Director and CEO Professor Peter Schofield said there is a pressing need to find solutions to these increasing problem while maintaining and encouraging increased mobility and independence among older road users, and the fastest growing sector on the road, motorcyclists. “We have recently identified that older drivers are experiencing difficulties in achieving good seat belt fit, and that almost 20% reposition their seat belts, and use some sort of comfort accessory when they travel in cars,” said Prof Schofield. Transurban Group General Manager NSW Andrew Head said Transurban is delighted to partner with NeuRA in undertaking innovative research which we hope will lead to improvements in safety for all motorists across Australia. “Transurban is committed to strengthening communities through transport and safety is always our highest priority in delivering benefits to our customers – therefore this partnership is a great fit for our organisation,” said Mr Head. A key area of NeuRA’s research is injury prevention. Injury prevention research is aimed at understanding how and why injuries occur and developing effective preventative strategies. The launch of the Transurban Road Safety Centre for research at NeuRA is an excellent example of the opportunities and benefits of partnerships bringing business investment, government support and medical scientific research together to benefit communities to drive research to better understand how to make roads safer, protect passengers from injury, and ultimately save more lives.